What comes to your mind when you see the abbreviation ‘TT’? Most likely it will be a Table Topics session? Or probably some of you may also think of the famous Halloween tradition – Trick-or-Treating? Well, on October 24 we were lucky to have plenty of both! 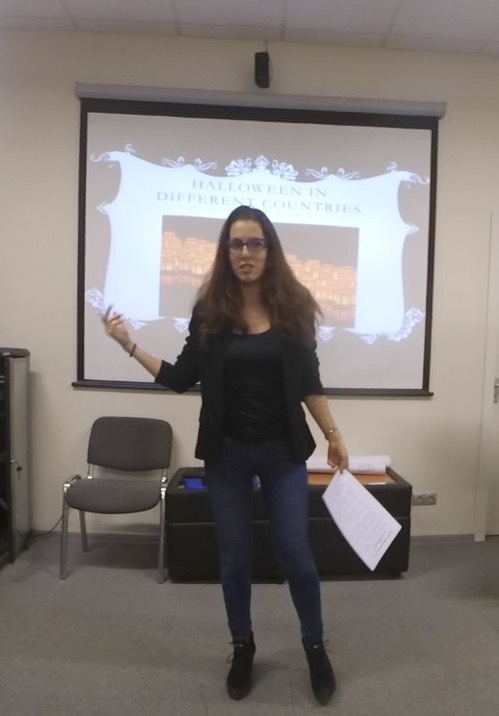 We are delighted to provide you with the details of our club’s meeting #87 dedicated to Halloween at which we held our first autumn speech contest – the Table Topics! Halloween is world-famous for some of its most typical traditions – trick-or-treating, dressing up etc. 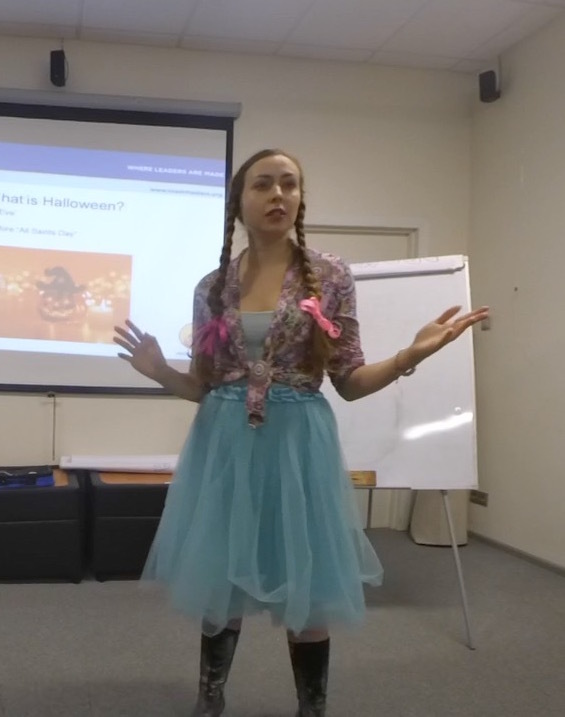 In her CC project #9 entitled “Halloween: for and against” Irina Suvorova provided some historical insight into this holiday, as well as shared a few reasons for making this day a special occasion. Irina believes that one of the most persuasive arguments to celebrate this holiday is the opportunity to dress up, and she reinforced this idea with a brightly colored outfit which she was wearing during her performance. 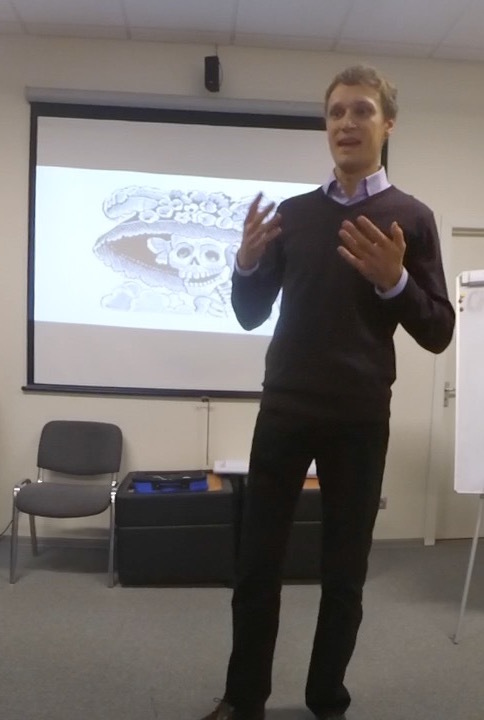 Vlad Pivovarov delivered his ice-breaking speech entitled “Risks and joy” in a very creative manner: he shared three stories dedicated to the risks he had faced in his life, as well as provided another three stories which covered the most joyful moments of his life. 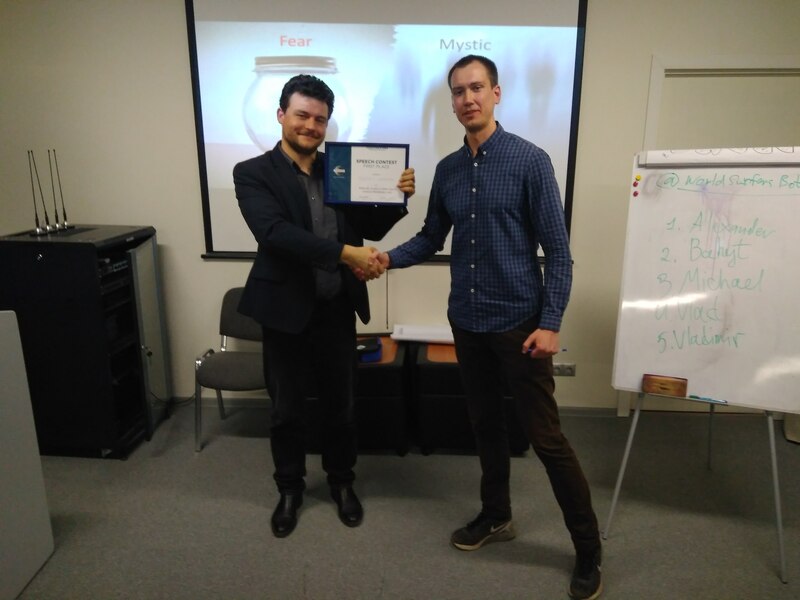 We sincerely congratulate Vlad on the successful start of his Toastmasters journey! When it comes to speaking foreign languages, cases of international miscommunication become a common matter. Denis Shevchuk touched upon this problem in his advanced project #5 entitled “ESL and international miscommunication” from Humorously speaking manual. Denis shared a few stories of misunderstanding which happened to him when he was speaking English both to Russian and foreign people. After the session of prepared speeches we had a pleasure of witnessing a whole two Table Topics sessions! The first one was held in the margins of the regular autumn speech contests and was hosted by the Contest Chair Alexey Lobzov. 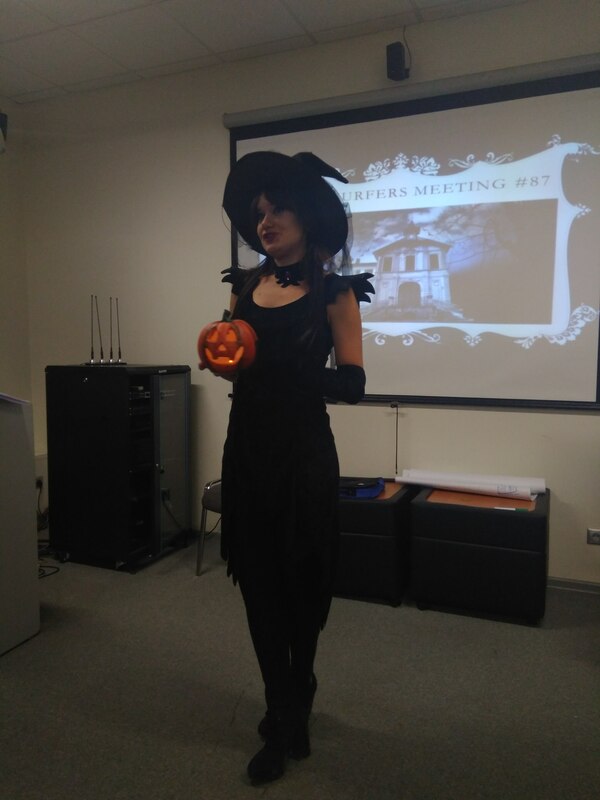 Alexey masterly kept the contest topic within the general theme of the meeting: each participant was invited to suggest ways to organize a successful Halloween party to a very special friend – skeleton Catherina! 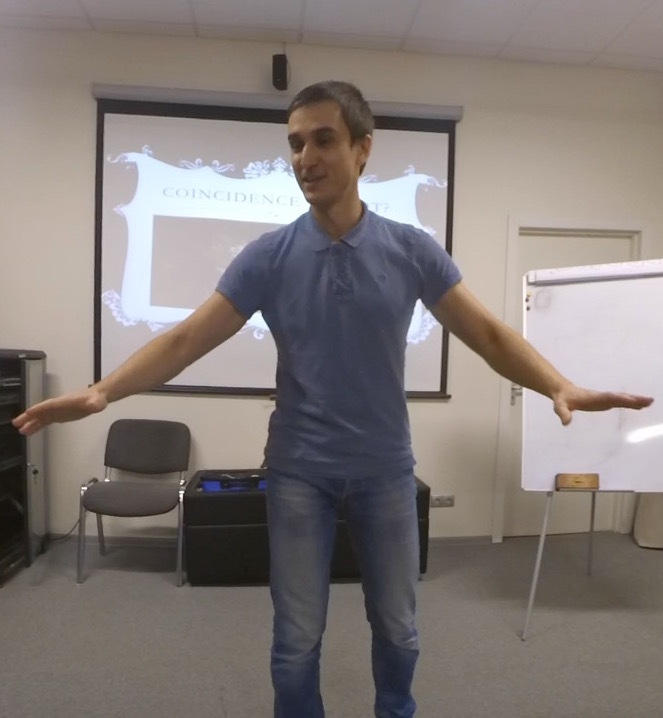 Three members of our club – Anton Shcheglov, Nastya Kolodina and Sergey Saprykin participated in the Contest and competed for the title of the best impromptu speaker of WorldSurfers Moscow. And we are delighted to announce that the winner of the contest is… Sergey Saprykin! 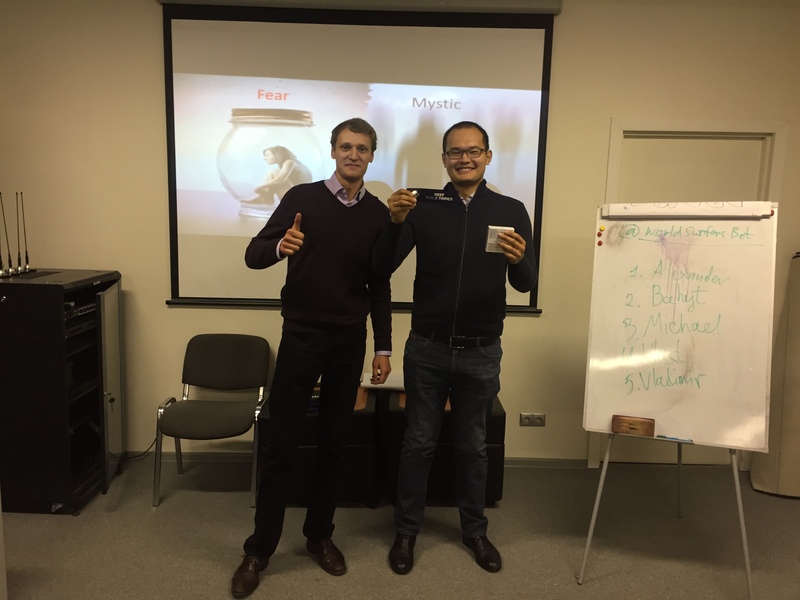 Congratulations, Sergey, and good luck in representing our club at the Table Topics Contest final at the Moscow Area Winter Conference on December 2nd! Thank you very much for such a productive and vibrant meeting, and looking forward to seeing you next time!